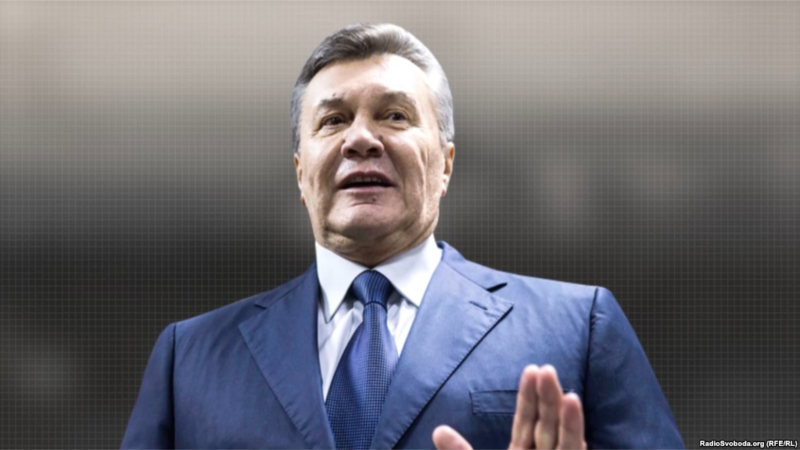 KIEV, Ukraine -- A Ukrainian judge has adjourned the in-absentia treason trial of former Ukrainian President Viktor Yanukovych. Former Ukrainian President Viktor Yanukovych. Judge Vladyslav Devyatko rejected a request by Yanukovych to give him another month to get acquainted with the case and adjourned the trial until August 10. Devyatko also denied a motion on August 3 by Yanukovych's state-appointed lawyer, Vitaliy Meshechek, for a one-month delay. Yanukovych's previous lawyers withdrew from the case on July 6, saying the former president had informed them that he no longer needed their services. Yanukovych announced on that day that he would not participate in the trial, charging that it was politically motivated. The court then decided to hold the trial in absentia and provide Yanukovych with a state-appointed lawyer. Yanukovych abandoned office in late February 2014 and fled to Russia in the face of protests triggered by his decision to scrap plans for a landmark deal with the European Union and instead improved trade ties with Moscow. Dozens of people were killed when his government attempted to clamp down on the pro-European protests known as the Euromaidan. After he fled, Russia seized Ukraine's Crimean Peninsula and fomented opposition to the central government in eastern Ukraine, where the ensuing war between Ukrainian forces and Russia-backed separatists has killed more than 10,000 people since 2014.